The painting is awesome–and the photo, poem, and painting all work together to to create a wonderful post. 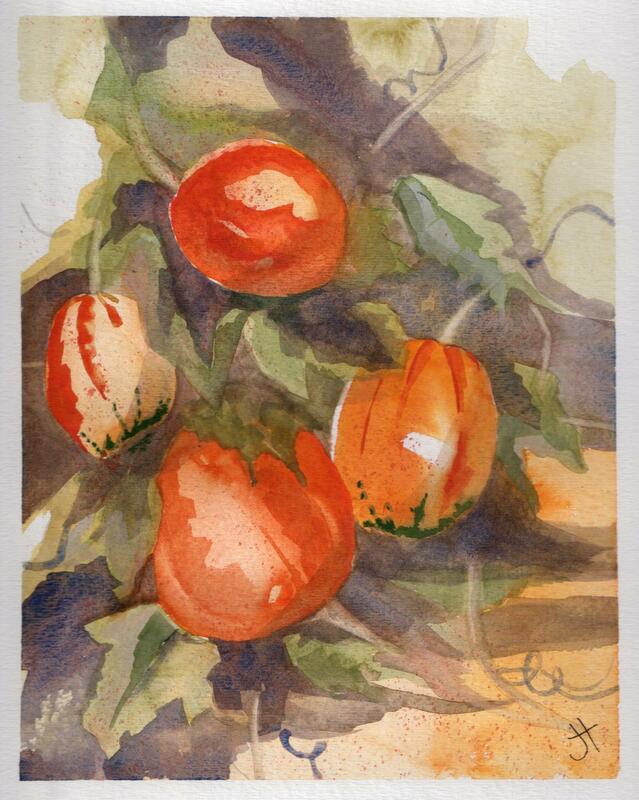 Oh I love this line: “goblin egg and warted.” Lovely watercolor – autumn is in the air. 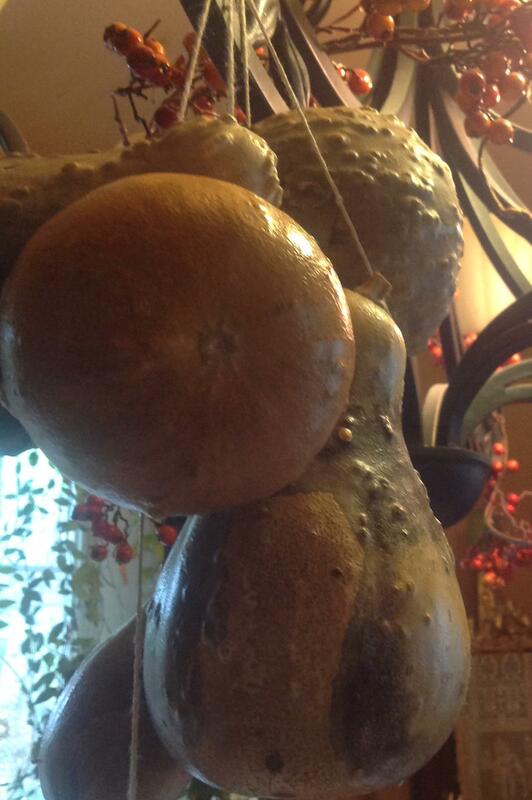 Now you’ve got me wanting to dry some gourds so I can make the seeds rattle!